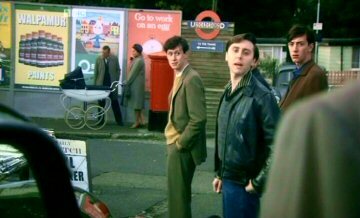 In John Sullivan's long-awaited prequel to Only Fools and Horses, the young Del Trotter (James Buckley) and his mates are seen walking to their school in Peckham, near to what seems to be an Underground station (Image 1), even though there are none in the area at all! 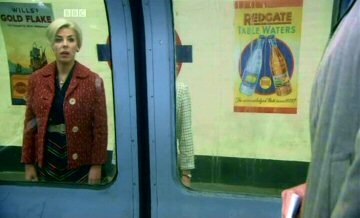 Later, Del's mother, Joan (Kellie Bright), and a friend enter the ticket hall of "Borough" station, then board a southbound Northern line train (Images 2-10). The map seen in image 6 is Harry Beck's 1959 quad royal poster, consistent with this part of the narrative being set in June 1960. 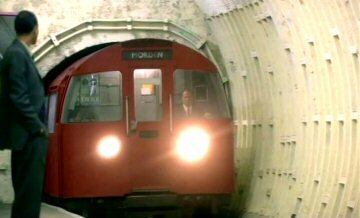 After a few intervening scenes, they are seen returning on a presumably northbound train (Images 11-14). The "Peckham" location is actually the Downham Estate in Grove Park, Lewisham, used for its surviving "prefab" houses. "Borough" station is - as usual - the disused "Aldwych," still looking much improved cosmetically after the overhaul it received by the makers of V for Vendetta a few years previously. 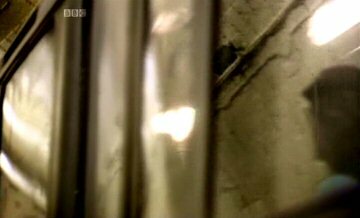 The in-train screnes were shot in the unrefurbished three-car 1973 Stock unit semi-permanently housed on the branch.